Indonesia is one land where Indian manufacturers feel at home away from home. The funniest part of the story is, Indian bikes enjoy more aftermarkets and true blue modifications in Indonesia than back home. 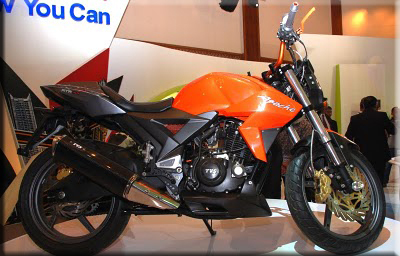 We have seen Bajaj Pulsars getting converted into pocket rocket in quite a few occasions. Last time, in the Jakarta Motorcycle Show, Bajaj showcased it's locally modified Pulsar 135 and Pulsar 180, which generated quite a buzz back home. This time it's the turn of TVS Motor Company Indonesia to try some something new and their guinea pig is their flagship Apache RTR 160 - say hello to the TVS Velocity. First looks suggest it's quite a neat mod job done I must say, but the at the same time, quite a lot of inspirations from rival products too, specially when you put the front of the bike to perspective. The font styling looks very much inspired from the Yamaha FZ and Honda Twister, but the remaining of the body work adds a lot of naked street fighter character to the bike. Couple to that the extra rubber on the bike, surely looks fab on the bike (even though not much practical for the 160cc motor). It seems that today's motorcycle world is fast becoming a parallel dimension world, with one dimension being ruled by fully faired (or semi faired) sports motorcycles and the parallel world being dominated by their street fighter counterparts. 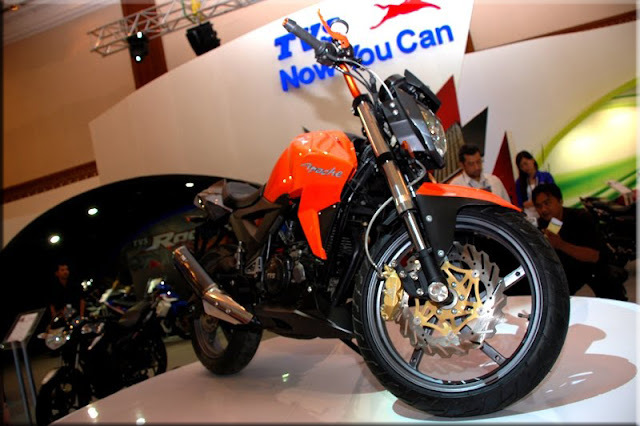 TVS concepts have always turned heads.. but sadly always remain a concept. Yups... and I very strongly believe that the TVS Velocity would also remain a concept, at least for India. But if TVS somehow manages to bring this bike to production (with a little scaling down on the rubber to make it more practical), then it should be an awesome machine. 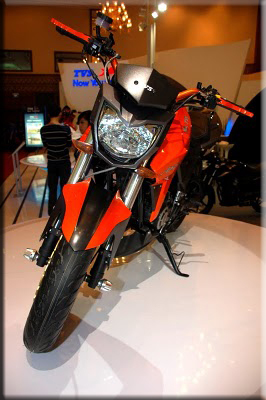 TVS recently launched the Velocity 160 Street Fighter concept. 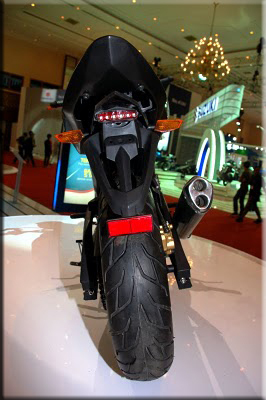 In terms of design and styling the Velocity 160 Street Fighter looks awesome with broad front and rear tyres.